Prices quoted will include your specific KAB chair requirements, model, fabric, castors, headrest etc and will include the current delivery charge for your area. 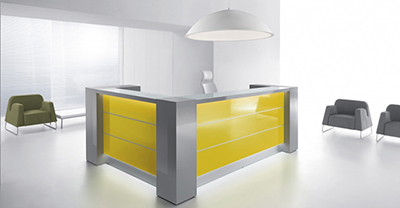 "90% of office workers in Scandinavia now have access to sit/stand workstations - only 1% of British workers have this choice" Click here to see our range. The perfect chair for control rooms or operation centres is the KAB K4 Premium chair controller style chair with seat slide - price now reduced. 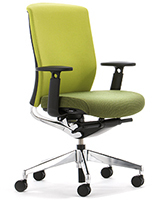 All our KAB Chairs and Ergohuman/Enjoy Mesh Chairs will be further reduced in price - please call 01224-639325 or e-mail workplaceoffice@aol.com for details. Enna -also from Elite Seating. Now available to buy on-line. Human Factor HF5 (formerly Therapod 5250). Office chair in a Grade 1 fabric and with aluminium base now £425 + £20 delivery + vat. From a single desk and chair to a whole floor or a complete building, let us help you with our space planning service, professional installation and after sales service. You can take advantage of our sales staff and installers 20 years experience in this industry. Please read our testimonials page. Leasing - spread the cost of your purchase. Need a desk,a cabinet or an entire office moved in the Aberdeen area?